"... an opening mark of 77 could be a fair one with the step up in trip likely to bring out more improvement." An interesting opener. The well-bred Vasiliev looked very promising when only narrowly failing to overcome clear signs of greenness on debut and is narrowly preferred to Sir Michael Stoute's Mokammal, who also shaped with plenty of encouragement when filling the runner-up spot on debut. King Ademar and King of Change are also open to further progress and likely to get involved. With the majority of these returning from winter breaks the market could prove informative. Enchanted Linda did progress quite nicely last autumn and gets the nod to make a successful return with Oisin Murphy doing the steering. True Hero has left William Haggas since his C&D maiden win last October but is still respected on his return. Phoenix Star and Pink Iceburg are also shortlisted. Pocket Dynamo is the one to beat if able to reproduce the form he showed when only narrowly denied in the Norfolk at Royal Ascot last summer. 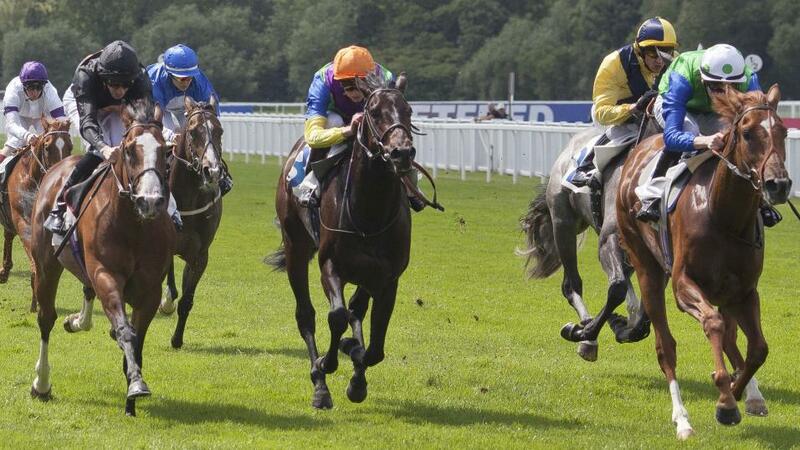 Broken Spear ended last season on a high when winning at York and is feared most. Pilaster made a rapid rise through the ranks last term, finding another jolt of improvement to land Group 2 Lillie Langtry at Goodwood in August. Well held in Group 1 company on her final start, she's well worth another chance to bounce back with her sights lowered. Elegiac is a most likeable type who is fancied to pose the chief threat. A good quality handicap with the narrow vote in favour of Markazi. A useful performer in France, he shaped well on yard debut at Haydock back in August, and with his subsequent effort at that venue best overlooked, he is fancied to make a bold bid on return in refitted blinkers. Bowerman has clearly been hard to train but is talented and he is feared, as is New Graduate despite a wide draw in 16. This is a sufficient drop in class for Me Too Nagasaki so he's taken to prevail. Where's Jeff was generally progressive last season and could have more to offer this time around. Ebbisham starts the campaign on a potentially lenient mark and is another to consider. She's Apples looks to have been brought along with handicaps in mind and is a potential improver now going up in trip. Bo Samraan ran well in what was probably a useful event at Newmarket on his final start and is next best ahead of Poor Auld Paddy, another who should do better now handicapping. Nabbeyl is out of a dual Group 1 winner and an opening mark of 77 could be a fair one with the step up in trip likely to bring out more improvement. Mayfair Spirit left his 2-y-o form behind when almost making a winning return at Kempton and looks the biggest threat ahead of Silkstone.